“We’re not talking about a slight increase. There’s a horrifying surge of drug overdoses in the United States of America. Some people say we should be more permissive, more tolerant, more understanding about drug use. I say we should be more honest and forthcoming with the American people on the clear and present danger that we know face,” opened Rosenstein. 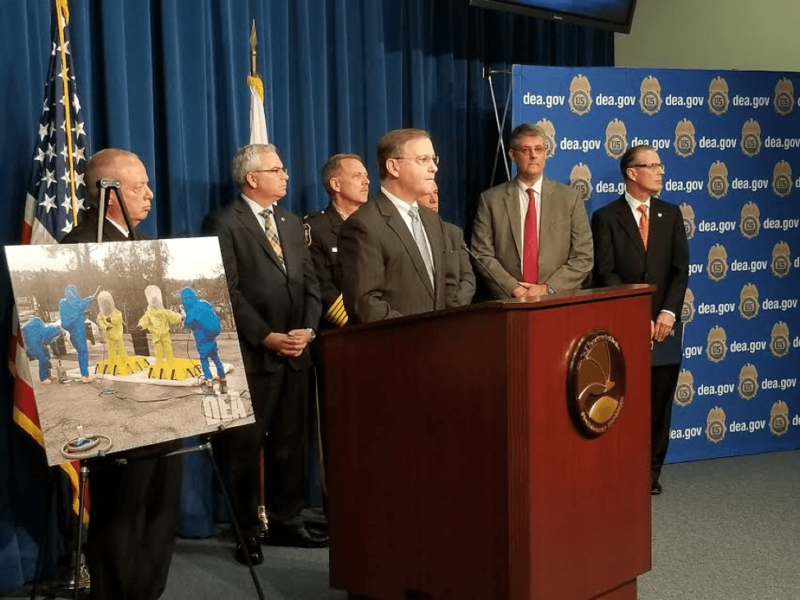 “Fentanyl is especially dangerous. It is 40 to 50 times more deadly than heroin. Just two milligrams, a few grains of salt, an amount you could fit on the tip of your finger, can be lethal. Fentanyl exposure can injure or kill innocent law enforcement officers and first responders. Inhaling a few airborne particles can have dramatic effects,” he continued. 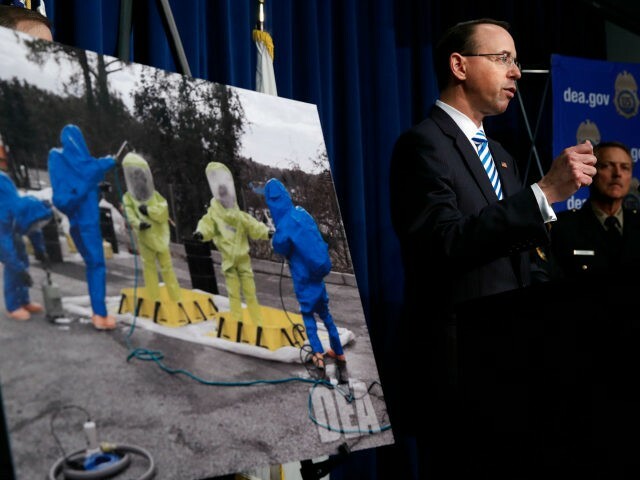 Rosenstein, Rosenberg, and their colleagues used the event to roll out new precautions for first responders in dealing with fentanyl. Such measures predominately featured hazmat suits as a means of avoiding airborne inhalation. “[Fentanyl]’s everywhere and it’s killing people,” Rosenberg solemnly remarked. Despite such a bleak update, Rosenberg claimed reasons for careful optimism in the midst of this epidemic. 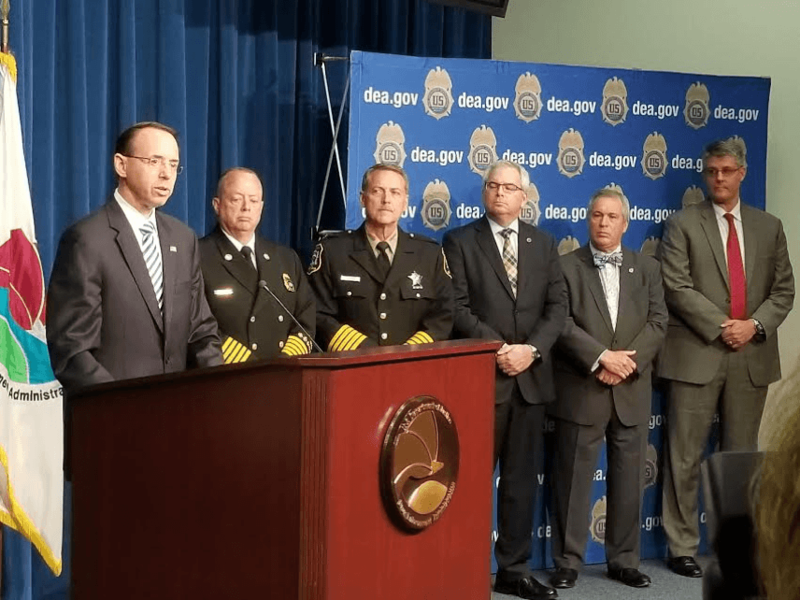 He has spoken extensively with his Chinese counterparts in law enforcement, given that China is the major source of Fentanyl that enters America. According to Rosenberg, the Chinese government banned 116 synthetic opioids for export and 4 more after his trip to China this March. Additional synthetics are scheduled to be banned as well. “I do not want to understate such gains, nor do I want to overstate them,” he cautioned. More progress in international cooperation, he said, still has to be made in cutting off fentanyl shipments from China. Rosenberg and other law enforcement officials such as Jonathan Thompson of the National Sheriffs’ Association assessed the difficulty associated with training first responders in such new duties and admitted that such efforts would strain already stretched resources in fighting what is an overwhelming epidemic. Rosenberg’s daunting assessment of fentanyl put in perspective the existential danger of the ongoing opioid crisis that, according to Rosenstein, has contributed to the largest yearly increase in overdose deaths on record in America. Rosenberg pointed out that such statistics tend to “wash over you.” To grasp the enormity of the epidemic he claimed that if three mass-shootings as deadly as the Pulse Nightclub Attack occurred three times every day for 365 days, then the death toll would roughly reach that of drug overdoses in 2015.